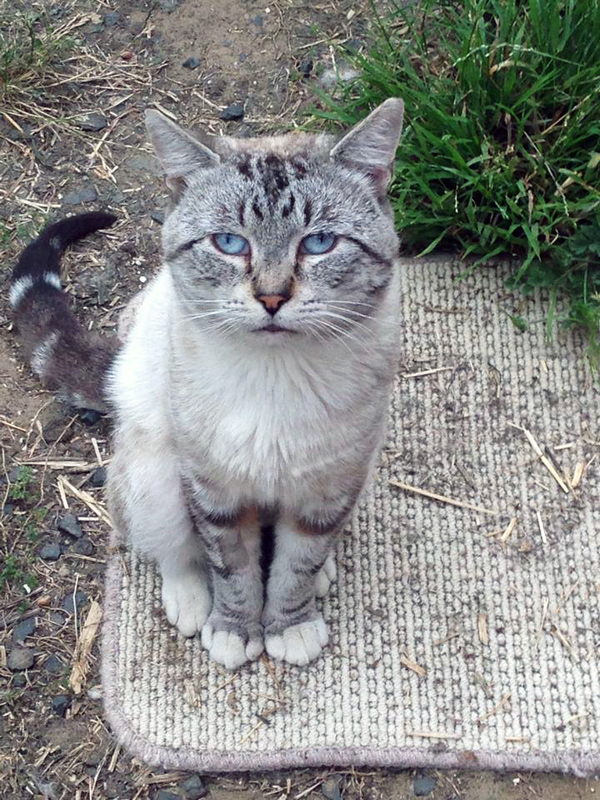 Latte has been put up for adoption through the Hobart Feline Rescue! I have been assured by Shelley, the lady I’ve dealt with from the beginning, that he’s doing marvellously! His desexing went well – in fact, he’s now so tame he didn’t freak-out with the vet this time! I admit I’m very proud of him for coming so far! I need to again thank everyone for helping me make this possible for him. Without your help, I really don’t know where he would be now, or how I would be coping. I previously linked to the wrong Facebook page for Hobart Feline Rescue (I was really concerned by how dead and quiet the place was!). If you would like to see any more news from them, please go see their (closed) Facebook group here: Hobart Feline Rescue. I would share the post about Latte, but as a closed group, sharing doesn’t seem possible. Hopefully, the next time I mention Latte, I’ve either visited him personally and showered him with love, or he’s been adopted into a loving home. Look at that widdle face. Those beautiful eyes! You know you want to adopt him. Thanks for the update – I was just wondering about Latte the other day and it’s so good to see how much progress he’s made.